Tom has been programming computers for 20 years. He has worked with countless languages, frameworks, and technologies. Tom is an expert in Java, and has been involved in projects ranging from simple tools and utilities to large-scale telephony projects and enterprise web applications. He also writes Android software for both the Google Play Store and custom client solutions. 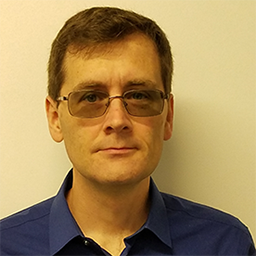 Tom holds various IT certifications including CompTIA A+ and Network+ technician certifications, CompTIA's Project+ project management certification, and CIW's Advanced HTML5 and CSS3 Specialist certification. Stacey went to college at PSU and graduated in 1999 with a BA in Integrative Arts. She also went to CCAC in Pittsburgh and graduated in 2018 with a AS in Software Development. Stacey has over seven years of experience with web development including WordPress and PHP as well as experience with Java, Visual Basic, and C++. When not working, Stacey enjoys sports, playing basketball, exercising/working out, biking, anything outdoors, and traveling.